What is Doppler Effect ? The formula for calculating Doppler effect and blood flow velocity are using the following formula：FD＝2v•cosθ•fo／c；v＝fd•2•fo•cosθ. Doppler Effect illustrates the physical phenomenon that when motion is present between the vibration source and the receiving member, the changes vibration frequency of it’s received. V represents the Speed of receiver motion, FD represents the changes of Doppler Effect made, C represents the Propagation speed from vibration,FO represents the vibration frequency from vibrate source, θ represents the angle between direction of vibrate source and direction of receiver motion. (1) Receiver vibrate frequency will increase when relative motion happened between vibrate source and receiver. (2) Receiver vibrate frequency will decrease when opposite motion happened between vibrate source and receiver. (3) Receiver vibrate frequency will increase when vibrate source no motion but receiver make motion. (4) Same as last one, but receiver frequency will decrease when receiver motion undirected to vibrate source. 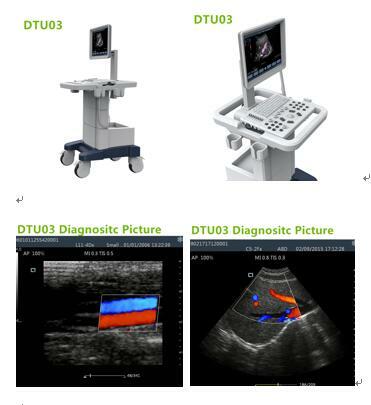 In the ultrasonic medical diagnosis: V represents the motion speed of Red blood cells ,C represents the Propagation speed of ultra sound in Human tissue ,FO Represents the ultra sound frequency of probe , FD represents the frequency shift of echoes scattered Red blood cells come from Doppler Effect. 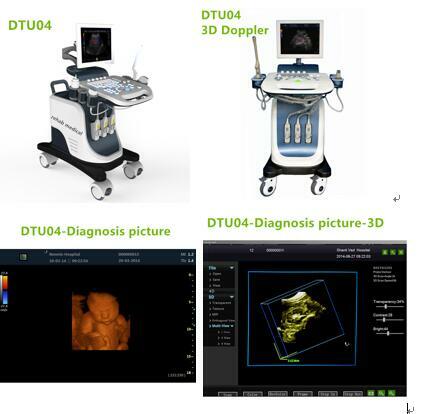 As one of ultrasound machine supplier we present Trolley Doppler ultrasound machines, Portable Doppler Ultrasound Machines and 3D 4D Doppler ultrasound machine assist Ultrasonic physician to make their work more easy and more confidence. -4 Probe holder and Big basket makes your work always quick. -4 medical wheels and screen height are flexible, adjustable. -Self-motion optimize function save you value time to check the button. -One-click optimization function fast your work and get a result in minute. -Big screen and Big keyboard makes you zero delay. The meaning of rehabilitation do you know?